INDEPENDENT live sheep and cattle observer reports released by the Australian Government are under question after the RSPCA released details of heavily redacted documents this week. After an almost six-month fight and nearly $1700 in processing fees, the RSPCA gained partial access to government observer reports from live export ships that left Australia in April to June last year. The heavily redacted documents, released after a protracted Freedom of Information (FOI) battle, distil eight 2-4 week journeys, 184 days at sea and around 2500 hours of observation into pages of written reports and around 83 photos of animals, including sick, dead and dying sheep, the RSPCA said. Click here to see the latest IO reports. The animal welfare body said the reports and further departmental correspondence also refer to hundreds more images as well as hours of video content that have been captured, but the department has so far refused to release. The IO reports for some shipments released by the Department of Agriculture and Water Resources also lack crucial heat risk assessment data in the form of wet bulb temperature readings, which are the subject of industry-wide consultation to decide the fate of future Middle East northern summer shipments. 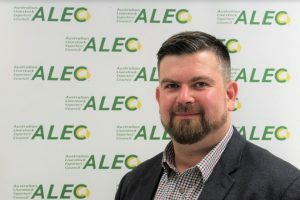 ALEC chief executive officer Mark Harvey-Sutton. The RSPCA outcry prompted the new Australian Livestock Exporters’ Council chief executive officer Mark Harvey-Sutton to tell ABC Radio that he shared with the RSPCA his frustration that the IO reports have been delayed. “We need those reports as well so that we can support our reform process. He said the current review of Australia’s heat risk assessment model also needed to be informed by the IO report data. RSPCA Australia senior policy officer Dr Jed Goodfellow said the conditions described and photographed in these documents represent the industry on its very best behaviour after the multiple disastrous journeys of the Awassi in 2017. The RSPCA said the reports contain multiple photos of sheep that are reminiscent of the Awassi Express evidence. “The department has also flat out refused to release the video footage taken on board the vessels, which is the only real means of truly appreciating the animals’ behaviour and condition during the high heat stress periods. “While this lack of transparency is nothing new from the live export industry, I think it’s very clear the government knows as well as we do, that the conditions on-board the Awassi Express in 2017 weren’t the exception but the norm, despite the best efforts from the live export industry to discredit the footage captured from those journeys,” Dr Goodfellow said. A spokesperson for the Department of Agriculture and Water Resources said in less than 12 months, the department, as the regulator, has moved to provide unprecedented transparency on live animal export voyages. But the spokesperson said the publication of the full IO reports would make business information, commercial-in-confidence information and personal information public. “We fully understand the high public interest in this issue and will continue to work with the industry and stakeholder groups to mature this transparency, while ensuring that we can continue to do our job effectively as the regulator. “The independent observer report summary process has now been standardised and improved dramatically,” the spokesperson said. “The department publishes independent observer summary reports online to provide the public with an accurate account of what has been observed, from loading to discharge, with a series of photos. The spokesperson said third party organisations, including animal welfare groups, have been regularly informed of the development of these reports. “The primary purpose of the full independent observer reports is as an information source for the regulator. “The department does not generally disclose personal or confidential information collected in the course of obtaining the reports,” the spokesperson said. Minister for Agriculture David littleproud said since these voyages stocking densities have been significantly reduced and the heat stress consultation for the coming Middle Eastern summer is out for consultation now. It is not possible to gauge the ongoing condition of sheep from a series of still photos. Videos must be produced for true transparency.